Since his death, Wallace has obtained an iconic status far beyond his homeland. 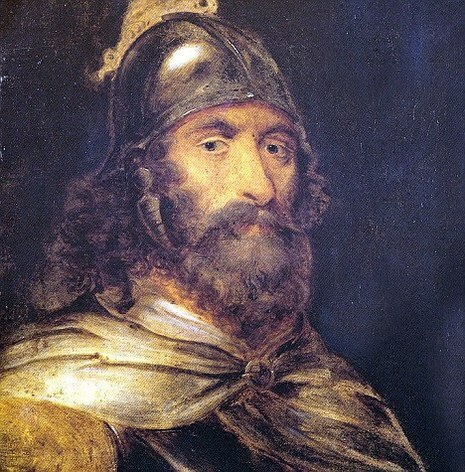 He is the protagonist of the 15th century epic poem The Acts and Deeds of Sir William Wallace, Knight of Elderslie, by Blind Harry. Wallace is also the subject of literary works by Sir Walter Scott and Jane Porter and of the Academy Award winning epic film Braveheart. 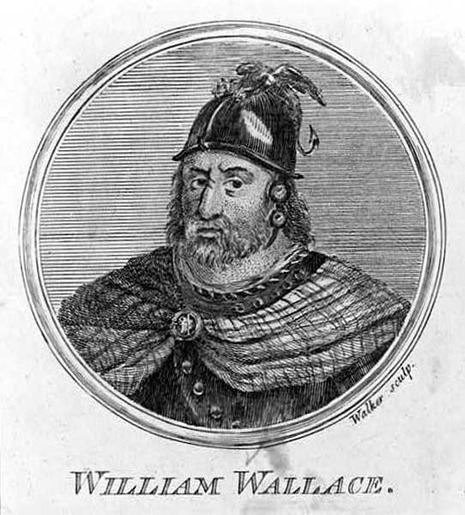 Following the trial, on 23 August 1305, Wallace was taken from the hall to the Tower of London, then stripped naked and dragged through the city at the heels of a horse to the Elms at Smithfield. He was hanged, drawn and quartered — strangled by hanging but released while he was still alive, castrated, eviscerated and his bowels burnt before him, beheaded, then cut into four parts. His preserved head (dipped in tar) was placed on a pike atop London Bridge. It was later joined by the heads of the brothers, John and Simon Fraser. His limbs were displayed, separately, in Newcastle upon Tyne, Berwick-upon-Tweed, Stirling, and Perth. 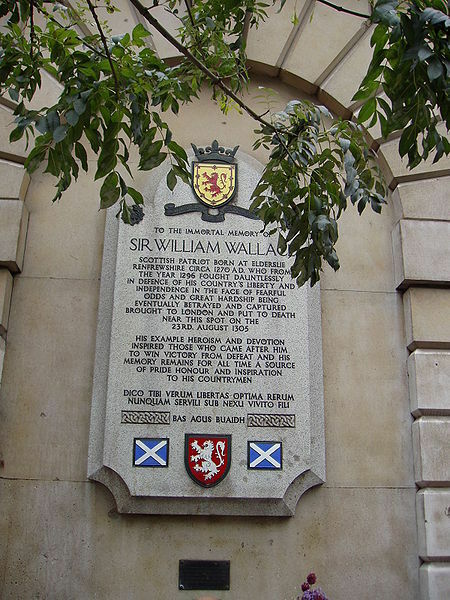 A plaque stands in a wall of St. Bartholomew's Hospital near the site of Wallace's execution at Smithfield. Wrapped in an ox hide to prevent him being ripped apart, thereby shortening the torture, he was dragged by horses four miles through London to Smithfield. There he was hanged, as a murderer and thief, but cut down while still alive. Then he was mutilated, disembowelled and, being accused of treason, he was probably emasculated. For the crimes of sacrilege to English monasteries, his heart, liver, lungs and entrails were cast upon a fire, and, finally, his head was chopped off. His carcase was then cut up into bits. 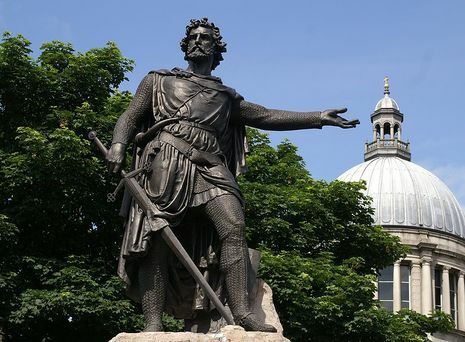 His head was set on a pole on London Bridge, another part went to Newcastle, a district Wallace had destroyed in 1297-8, the rest went to Berwick, Perth and Stirling (or perhaps Aberdeen), as a warning to the Scots. Edward had destroyed the man, but had enhanced the myth.